These ecards are simple but beautiful and elegant. 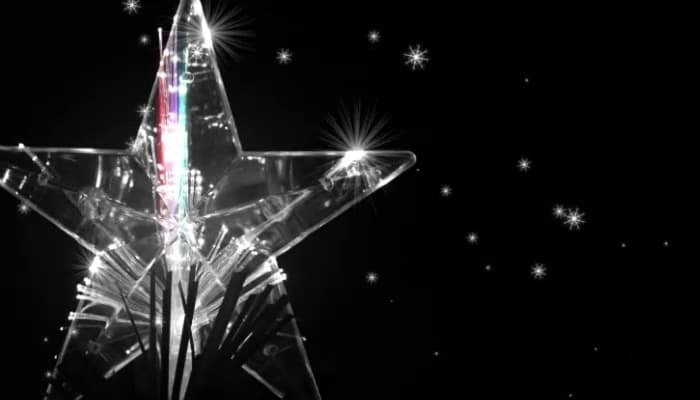 The fibre optic star has a glass like appearance that will remind you of ice and you just know that when it’s lit up it will look perfect on the top of a Christmas tree. The design has a calming effect and quietly but surely wishes the recipient a happy and peaceful Christmas. The black background makes sure that star really stands out and you have no choice but to admire its shy beauty. The clear tone of the star looks like ice which is another reminder of winter but somehow fills you with an excitement that only that time of year can bring. These are ideal corporate Christmas ecards and all the fuss of mailing has been taken away from your company to focus on real issues. The Christmas to do list just got a whole lot easier and much more fun. These designs will impress anyone that is lucky enough to receive them and writing out cards will be a thing of the past. If you’re interested in sending ecards, you have found the right email Christmas cards for business, just take a look through our Christmas section and you’re sure to find something for everyone.